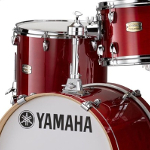 AC-JRDP0F5RDSET The Yamaha RYDEEN is an absolutely superb acoustic drum kit for any beginner or intermediate drummer. With 6-play Poplar shells, genuine tom arms, Yamaha hardware pack, choice of stunning solid or glitter finishes and Paiste 101 cymbal pack; the RYDEEN is sure to inspire and take your drumming from strength to strength! AC-JTMP0F4CRSRF Refurbished. 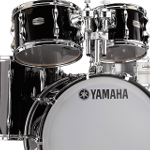 The Yamaha Tour Custom Drum Kit is designed to be a workhorse for the modern actively working drummer who is looking for a versatile kit which is suitable for both recording and playing in a live set up. 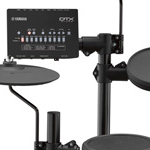 AC-SBP0F5-RB7 The Yamaha Stage Custom series drum kit offers professional quality at a reachable price. 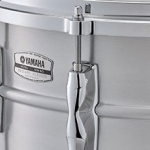 With 100% Birch Shells providing equal highs and lows from all drums with added punch and cut. 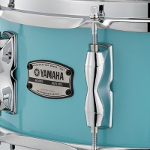 AC-JRBROCKSFG The Yamaha Recording custom drum kit is arguable one of if not the most recorded drum set in the history of music and with their amazing pedigree in mind Yamaha have taken their iconic sound and utilized some new design aspects to enhance their already legendary sound. With input from Steve Gadd himself on this product you can be sure that it can handle any situation and style that you throw at it and still come out strong. 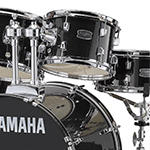 You can be sure that these big Rock drums will provide all the power and tone you could possibly need to shake any stage. 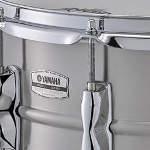 AC-JRBROCKWLN The Yamaha Recording custom drum kit is arguable one of if not the most recorded drum set in the history of music and with their amazing pedigree in mind Yamaha have taken their iconic sound and utilized some new design aspects to enhance their already legendary sound. With input from Steve Gadd himself on this product you can be sure that it can handle any situation and style that you throw at it and still come out strong. You can be sure that these big Rock drums will provide all the power and tone you could possibly need to shake any stage. 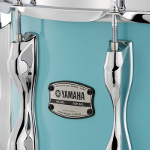 AC-JRBFUSIONWLN The Yamaha Recording custom drum kit is arguable one of if not the most recorded drum set in the history of music and with their amazing pedigree in mind Yamaha have taken their iconic sound and utilized some new design aspects to enhance their already legendary sound. With input from Steve Gadd himself on this product you can be sure that it can handle any situation and style that you throw at it and still come out strong. AC-JRBROCKWLNRF Refurbished. 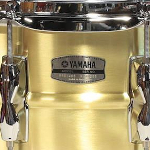 The Yamaha Recording custom drum kit is arguable one of if not the most recorded drum set in the history of music and with their amazing pedigree in mind Yamaha have taken their iconic sound and utilized some new design aspects to enhance their already legendary sound. With input from Steve Gadd himself on this product you can be sure that it can handle any situation and style that you throw at it and still come out strong. You can be sure that these big Rock drums will provide all the power and tone you could possibly need to shake any stage. 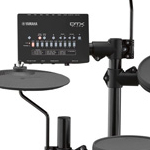 AC-JTMP0F4CRS The Yamaha Tour Custom Drum Kit is designed to be a workhorse for the modern actively working drummer who is looking for a versatile kit which is suitable for both recording and playing in a live set up. 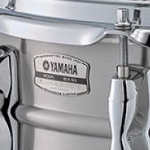 AC-JRBFUSIONSOB The Yamaha Recording custom drum kit is arguable one of if not the most recorded drum set in the history of music and with their iconic sound in mind Yamaha have taken their Sublime sound and utilized some new design aspects to enhance their already legendary sound. With input from Steve Gadd himself on this product you can be sure that it can handle any situation and style that you throw at it and still come out strong. 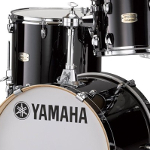 AC-JRBFUSIONSFG The Yamaha Recording custom drum kit is one of if not the most recorded drum set in the history of music and with their amazing pedigree in mind Yamaha have taken their iconic sound and utilized some new design aspects to enhance their already legendary sound. 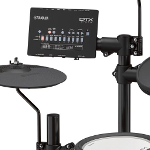 With input from Steve Gadd himself on this product this drum kits versatility cannot be questioned you can be sure that it can handle any situation and style that you throw at it and still come out strong. 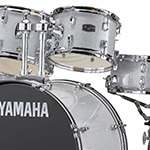 AC-JRBFUSIONRW The Yamaha Recording custom drum kit is arguable the most recorded drum set in the history of music and with their amazing pedigree in mind Yamaha have taken their iconic sound and utilized some modern design aspects to enhance their already legendary sound. With input from Steve Gadd himself on this product you can be sure that it can handle any situation and style that you throw at it and still come out strong. 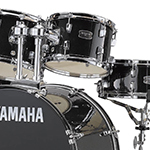 AC-SBP2F5NW Setting the standard since 1995, the Yamaha Stage Custom series drum kit offers professional quality at a reachable price. 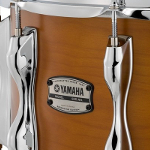 With 100% Birch Shells, the Yamaha Stage Custom offers shells made from one of the most popular woods in the world of drumming, providing equal highs and lows from all drums with added punch and cut. 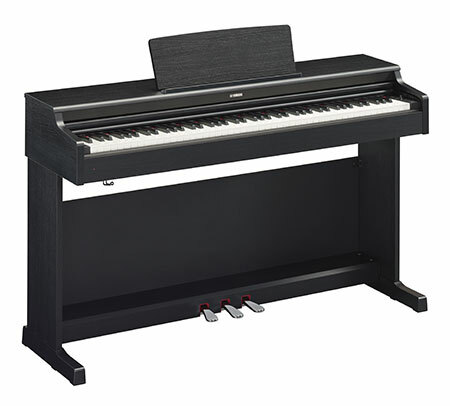 A truly incredible kit with great build quality for a very affordable price. 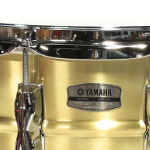 Speak to our Drum Specialist today for more information and the best prices. 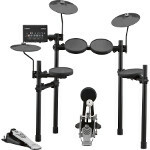 AC-JRDP0F5BGGSET The Yamaha RYDEEN is an absolutely superb acoustic drum kit for any beginner or intermediate drummer. With 6-play Poplar shells, genuine tom arms, Yamaha hardware pack and choice of stunning solid or glitter finishes; the RYDEEN is sure to inspire and take your drumming from strength to strength! 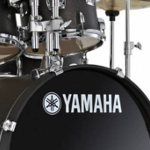 AC-JRDP0F5FBSET The Yamaha RYDEEN is an absolutely superb acoustic drum kit for any beginner or intermediate drummer. 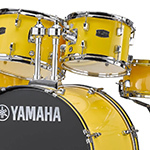 With 6-play Poplar shells, genuine tom arms, Yamaha hardware pack and choice of stunning solid or glitter finishes; the RYDEEN is sure to inspire and take your drumming from strength to strength! 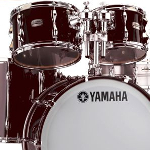 AC-JRDP0F5BLGSET The Yamaha RYDEEN is an absolutely superb acoustic drum kit for any beginner or intermediate drummer. 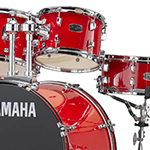 With 6-play Poplar shells, genuine tom arms, Yamaha hardware pack and choice of stunning solid or glitter finishes; the RYDEEN is sure to inspire and take your drumming from strength to strength! 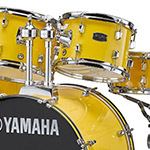 AC-JRDP0F5SLGSET The Yamaha RYDEEN is an absolutely superb acoustic drum kit for any beginner or intermediate drummer. With 6-play Poplar shells, genuine tom arms, Yamaha hardware pack and choice of stunning solid or glitter finishes; the RYDEEN is sure to inspire and take your drumming from strength to strength! 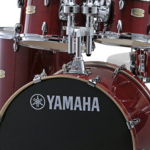 AC-JRDP2F5YLSET The Yamaha RYDEEN is an absolutely superb acoustic drum kit for any beginner or intermediate drummer. With 6-play Poplar shells, genuine tom arms, Yamaha hardware pack and choice of stunning solid or glitter finishes; the RYDEEN is sure to inspire and take your drumming from strength to strength! 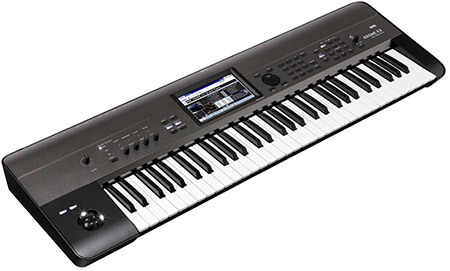 AC-JRDP2F5BLGSET The Yamaha RYDEEN is an absolutely superb acoustic drum kit for any beginner or intermediate drummer. With 6-play Poplar shells, genuine tom arms, Yamaha hardware pack and choice of stunning solid or glitter finishes; the RYDEEN is sure to inspire and take your drumming from strength to strength! 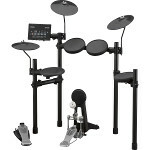 AC-JRDP2F5BGGSET The Yamaha RYDEEN is an absolutely superb acoustic drum kit for any beginner or intermediate drummer. 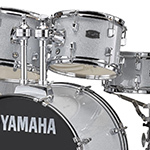 With 6-play Poplar shells, genuine tom arms, Yamaha hardware pack and choice of stunning solid or glitter finishes; the RYDEEN is sure to inspire and take your drumming from strength to strength! 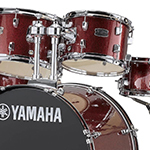 AC-JRDP2F5SLGSET The Yamaha RYDEEN is an absolutely superb acoustic drum kit for any beginner or intermediate drummer. With 6-play Poplar shells, genuine tom arms, Yamaha hardware pack and choice of stunning solid or glitter finishes; the RYDEEN is sure to inspire and take your drumming from strength to strength! 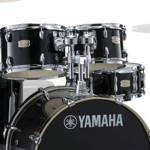 AC-JRDP2F5FBSET The Yamaha RYDEEN is an absolutely superb acoustic drum kit for any beginner or intermediate drummer. 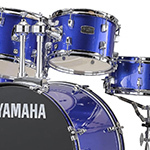 With 6-play Poplar shells, genuine tom arms, Yamaha hardware pack and choice of stunning solid or glitter finishes; the RYDEEN is sure to inspire and take your drumming from strength to strength! 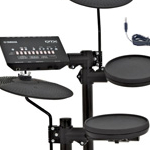 AC-JRDP0F5YLSET The Yamaha RYDEEN is an absolutely superb acoustic drum kit for any beginner or intermediate drummer. With 6-play Poplar shells, genuine tom arms, Yamaha hardware pack and choice of stunning solid or glitter finishes; the RYDEEN is sure to inspire and take your drumming from strength to strength! 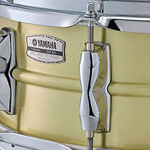 AC-JRBROCKSOB The Yamaha Recording custom drum kit is arguable one of if not the most recorded drum set in the history of music and with their amazing pedigree in mind Yamaha have taken their iconic sound and utilized some new design aspects to enhance their already legendary sound. With input from Steve Gadd himself on this product you can be sure that it can handle any situation and style that you throw at it and still come out strong. You can be sure that these big Rock drums will provide all the power and tone you could possibly need to shake any stage. 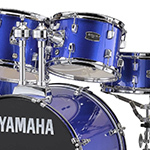 AC-JSBP0F5PWH Setting the standard since 1995, the Yamaha Stage Custom series drum kit offers professional quality at a reachable price. 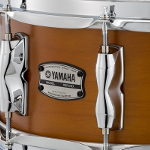 With 100% Birch Shells, the Yamaha Stage Custom offers shells made from one of the most popular woods in the world of drumming, providing equal highs and lows from all drums with added punch and cut. A truly incredible kit with great build quality for a very affordable price. 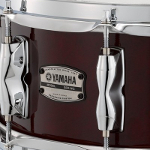 AC-JRBROCKRW The Yamaha Recording custom drum kit is arguable one of if not the most recorded drum set in the history of music and with their amazing pedigree in mind Yamaha have taken their iconic sound and utilized some new design aspects to enhance their already legendary sound. 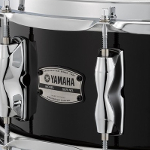 With input from Steve Gadd himself on this product you can be sure that it can handle any situation and style that you throw at it and still come out strong. You can be sure that these big Rock drums will provide all the power and tone you could possibly need to shake any stage. AC-JSBP2F5HA Setting the standard since 1995, the Yamaha Stage Custom series drum kit offers professional quality at a reachable price. 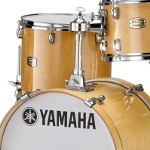 With 100% Birch Shells, the Yamaha Stage Custom offers shells made from one of the most popular woods in the world of drumming, providing equal highs and lows from all drums with added punch and cut. 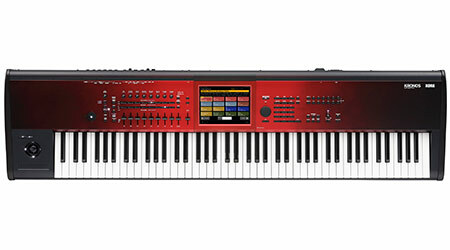 A truly incredible kit with great build quality for a very affordable price. AC-JSBP2F5RBL Setting the standard since 1995, the Yamaha Stage Custom series drum kit offers professional quality at a reachable price. 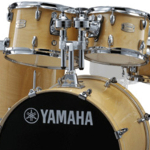 With 100% Birch Shells, the Yamaha Stage Custom offers shells made from one of the most popular woods in the world of drumming, providing equal highs and lows from all drums with added punch and cut. 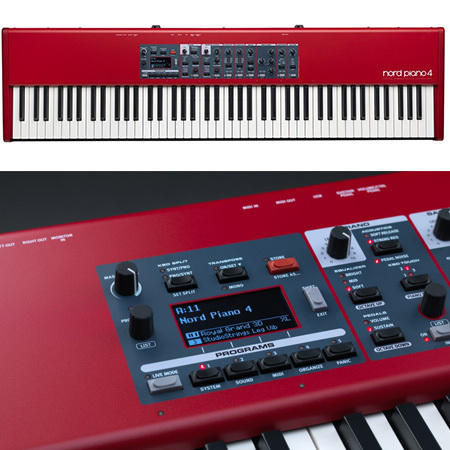 A truly incredible kit with great build quality for a very affordable price. 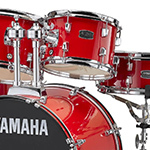 AC-JSBP2F5CR Setting the standard since 1995, the Yamaha Stage Custom series drum kit offers professional quality at a reachable price. 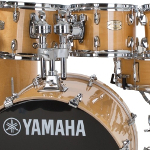 With 100% Birch Shells, the Yamaha Stage Custom offers shells made from one of the most popular woods in the world of drumming, providing equal highs and lows from all drums with added punch and cut. A truly incredible kit with great build quality for a very affordable price. AC-JSBP2F5PWH Setting the standard since 1995, the Yamaha Stage Custom series drum kit offers professional quality at a reachable price. 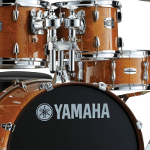 With 100% Birch Shells, the Yamaha Stage Custom offers shells made from one of the most popular woods in the world of drumming, providing equal highs and lows from all drums with added punch and cut. A truly incredible kit with great build quality for a very affordable price. 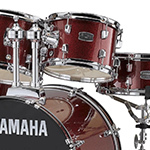 AC-JSBP2F5NW Setting the standard since 1995, the Yamaha Stage Custom series drum kit offers professional quality at a reachable price. 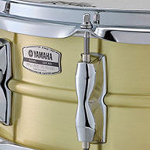 With 100% Birch Shells, the Yamaha Stage Custom offers shells made from one of the most popular woods in the world of drumming, providing equal highs and lows from all drums with added punch and cut. A truly incredible kit with great build quality for a very affordable price. 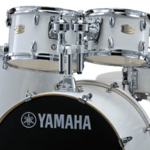 AC-JSBP0F5HA Setting the standard since 1995, the Yamaha Stage Custom series drum kit offers professional quality at a reachable price. 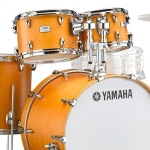 With 100% Birch Shells, the Yamaha Stage Custom offers shells made from one of the most popular woods in the world of drumming, providing equal highs and lows from all drums with added punch and cut. A truly incredible kit with great build quality for a very affordable price. 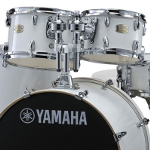 AC-JSBP0F5CR Setting the standard since 1995, the Yamaha Stage Custom series drum kit offers professional quality at a reachable price. 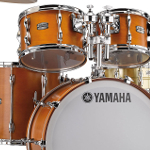 With 100% Birch Shells, the Yamaha Stage Custom offers shells made from one of the most popular woods in the world of drumming, providing equal highs and lows from all drums with added punch and cut. A truly incredible kit with great build quality for a very affordable price. 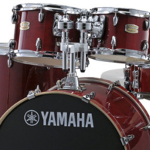 AC-JRDP2F5RDSET The Yamaha RYDEEN is an absolutely superb acoustic drum kit for any beginner or intermediate drummer. 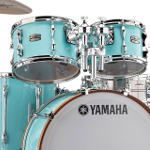 With 6-play Poplar shells, genuine tom arms, Yamaha hardware pack and choice of stunning solid or glitter finishes; the RYDEEN is sure to inspire and take your drumming from strength to strength!